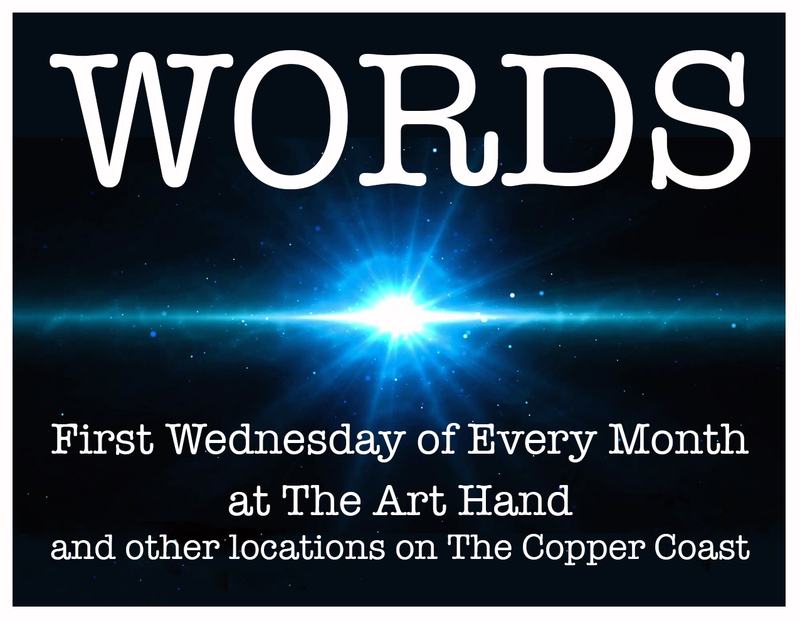 The WORDS Event is a spoken word night hosted by The Art Hand that takes place on the first Wednesday of every month at different locations on The Copper Coast. On Wednesday June 1st the event will take place in the Copper Coast Geopark Visitors Centre in Bunmahon from 7.45pm. All are welcome and there is no obligation to perform. Please text 087 2524657 to book your seats. This entry was posted in open mic, poetry, words and tagged comedy, Copper Coast, Event, Ireland, open mic, poetry, prose, Sean Corcoran, Storytelling, The Art Hand, The Copper Coast, Tramore, waterford, Words, writers. Bookmark the permalink.